Islamophobia refers to anti-Muslim hostility, or negative attitudes towards Islam and Muslims. Like other forms of prejudice, it reflects dislike or suspicion of a particular group of people based on negative assumptions about who they are, where they come from, what they believe, and how they live their lives. Islamophobia has been present in the United States for a long time. More recent developments have made it part of public life as never before. At the same time, we see vital efforts from American Muslim communities to counter this trend. This project is dedicated to illuminating these phenomena, exploring both anti-Muslim hate and its effects on American Muslim participation in public life. 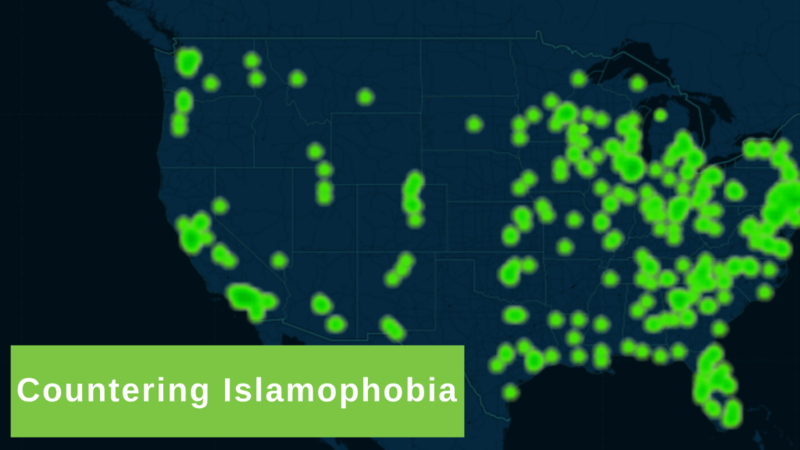 This project uses maps, available via the menu at the top of the page, to provide data in a way that empowers viewers to develop their own understanding of Islamophobia in the United States, how American Muslims seek to counter Islamophobia, and how anti-Muslim hate effects the nature of those efforts. 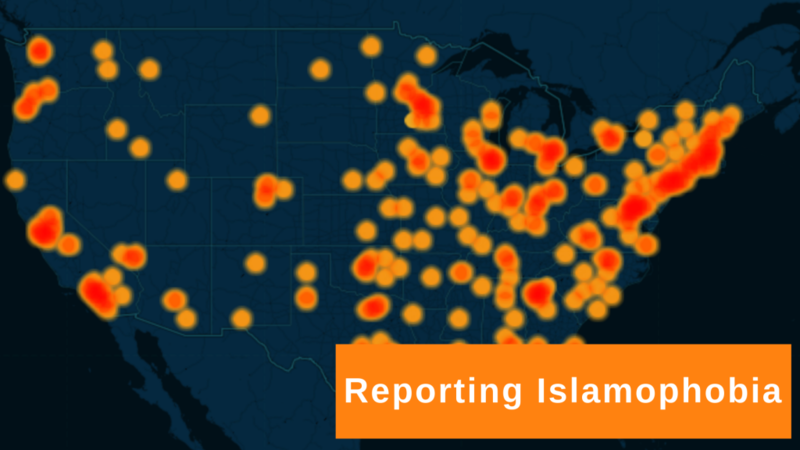 Our maps present carefully curated information about the nature of events and incidents that Islamophobia inspires, when and where they have taken place across the United States, the people who have fallen victim to them, and the ways in which American Muslims have responded to anti-Muslim hate. This web site offers minimal analysis of the information we present. We have produced these maps as tools to help you reach your own conclusions about how Islamophobia affects American Muslims, American Muslim communities, and our broader American national community. Each of the interactive maps on this site include sources so that you can explore the stories behind the data.